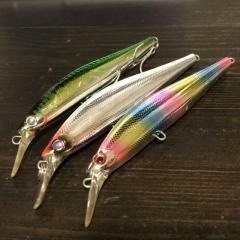 Used senses Spymission lures for sale. Tenggiri season coming soon, so come get some senses pintails. Good alternative to the pricier Jackson pintails, and just as effective. Condition is 9/10, looks brand new, but without boxes. Selling because I have no trips coming up this year due to commitments.